I had the worst scare this morning. My room is located on the third floor and even though it’s small it’s nice and clean and it isn’t too noisy. Or at least most of the time. I was rudely awakened this morning at 7 AM with a very loud alarm bell. First I thought it was the breakfast bell, because the buffet opens at 7 AM. Yet I quickly realised it wasn’t the breakfast bell at all (not only because it’s a little weird to wake up a whole hotel for breakfast that early, but people where opening doors, running up and down the hall and slamming other doors). It sounded like some people where in a slight state of panic, which can only mean 1 thing; something is wrong! I opened my door and found the source of the alarm; the fire alarm mounted above my door in the hallway! Luckily hotel staff made sure people were aware it was a false alarm, but I can assure you waking up to a blaring alarm in a strange place is pretty frightening. But hey, at least it was adventurous, in a way. Because my time in Iceland is very limited I had planned ahead back home and made reservations to go out onto the Atlantic Ocean to see the whales. As a huge animal lover (and environmentalist) the thought of seeing these majestic animals in their natural habitat blows my mind. Unfortunately, Mother Nature, as much as I love her, has a mind of her own. She decided it was time for a good storm. Which means it was too dangerous to go out onto the ocean. And granted, looking out from the hotel, the sea is looking rough. This means I’ll have to switch my plans around a bit but I think it’s commendable the Icelandic operators take their responsibilities over money and re-booked everyone. This shows to me they care, not only about their business but especially about the people they take out aboard their ships. 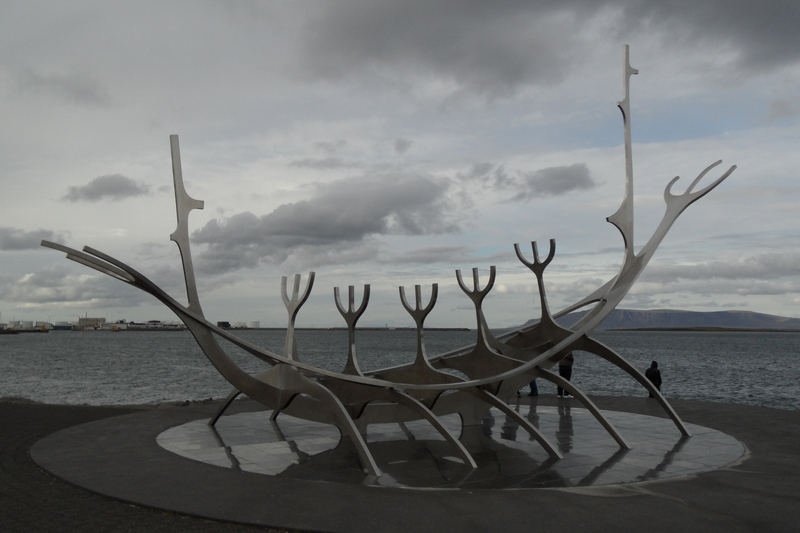 So, with a good coat, no gloves and no hat, and stormy weather around the Reykjavik area I left the hotel to go explore. I quickly found the main shopping street, located just around the corner of the hotel. And first things first, I needed gloves, quickly. Let me tell you, there are MANY tourist shops that sell gloves. Most of them sell about the same things, with a little variety of course. But if you look a little further, stray off the main streets for a bit, you’ll find shops too, they just sell a little different stuff, and some of it is even hand made! So that’s how I ended up with a lovely set of mittens (so warm!) and a matching hat. Now that I’ve made sure my hands and ears are warm it’s time to jump into the real exploration. With a map in my bag I decided I would just go ahead and walk the narrow streets. Reykjavik has beautiful houses, coloured, and cheerful and it makes the city look so happy and friendly. And to be honest that’s how the Icelandic people here seem; very happy and very friendly. 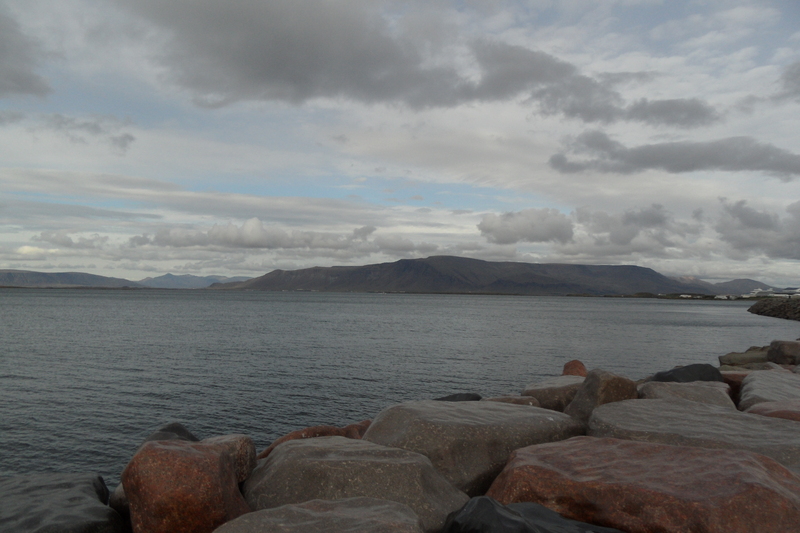 I walked around the city, going in and out of small shops with hand made products and Icelandic wool. 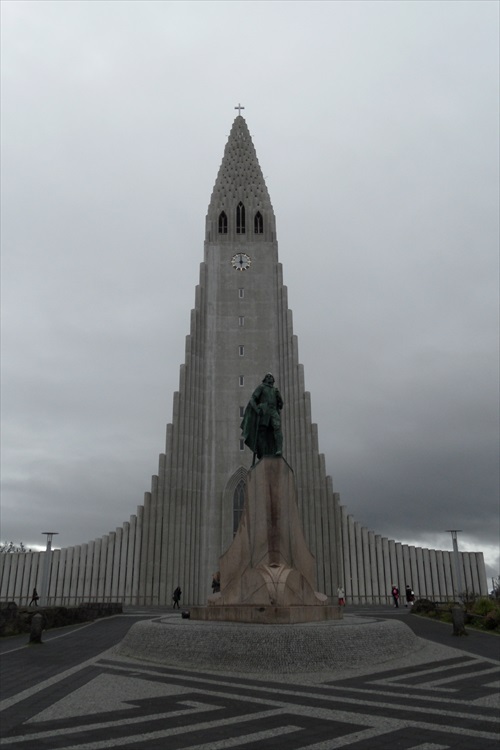 When I ended up at the Hallgrimskirkja, the largest church in Iceland at 74.5 meters, I just had to go in and see what it looked like inside. A street leading downhill brought me straight to the small lake Tjornin from Hallgrimskirkja. Tjornin is one of the best known lakes in Iceland. It’s right near the city hall and walking around it gives a beautiful view of the city in every angle. I ended up eating lunch at Cafe Paris. A cute little cafe with a Pub feel to it. Very friendly staff and, in contrast with many places in The Netherlands, it’s not at all considered weird in Iceland to lunch, dine or have a drink by yourself; they even provided books and magazines in Cafe Paris to have people spend time there. The food was good so it won’t be the last time they’ll see me there!! I have checked a few times with reception during the day, and unfortunately all tours were still cancelled but I’ve been booked in for tomorrow. Let’s hope the weather changes so I can go out and hopefully see some whales. Fingers crossed! Touchdown! The eagle has landed! Or something like that ;). After a luckily uneventful 3 hour flight from Brussels to Reykjavik I plant my feet firmly on Icelandic soil. I can’t believe I’m really here. It’s been a dream since my travels to NYC in 2010 to come back here. Yes back, because on my way to NYC I had a stop over in Iceland and I was in awe with the beauty of the country, the small part of it that I saw from the sky and the airport. So now I’m here. Time to gather up my suitcase and find my way to the hotel. I’ve booked an airport van to bring me to the hotel, but it turns out I’m going on a big bus first. No problem, but when we are halfway down the trip into the city I realise the driver hasn’t mentioned my hotel once. And he’s checked the ticket when I got on! The rest of the journey into the city is quick, there are only a few people on the van with me and I’m one of the last people to be dropped off in front of my hotel. I turn around and look at the North Atlantic Ocean. A stunning view, right from my hotel! After exploring the ocean road and the inner city for a while it’s time to get freshened up and go to bed so my first full day of exploring can begin early tomorrow!